In this concept when you click the lock button the you can't able to scroll the mouse jin the particular page until you click the unlock button once you click the unlock boutton you can able to scroll the page. 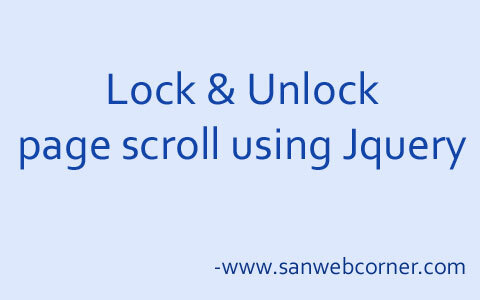 This is called as a fullscreen scroll lock and unloack. This example have live demo and the download file you can use it. I hope this example is very useful.